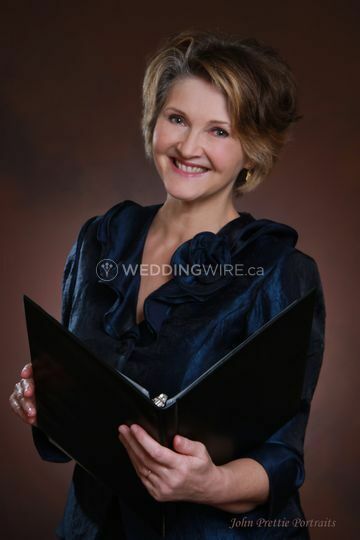 Suzanne Myers, Professional Celebrant & Wedding Officiant ARE YOU A VENDOR? 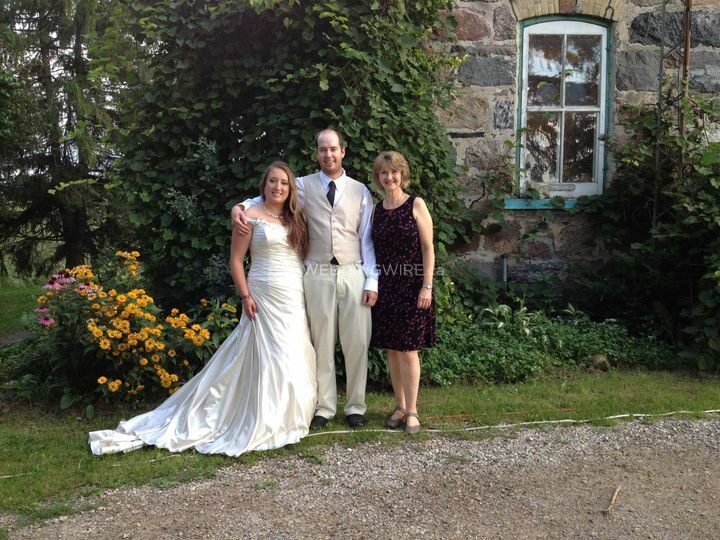 Suzanne Myers is a Certified Life-Cycle™ Celebrant & Wedding Officiant in Owen Sound. 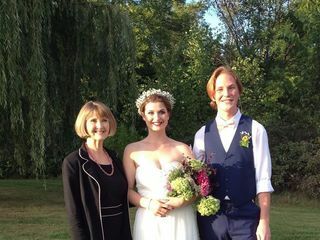 She designs custom weddings in Owen Sound as well as the Grey-Bruce and Collingwood areas in Ontario. She wants to hear about your vision for your big day and your dreams for your ceremony. Your ceremony can, and should be exactly what you want, without stress. 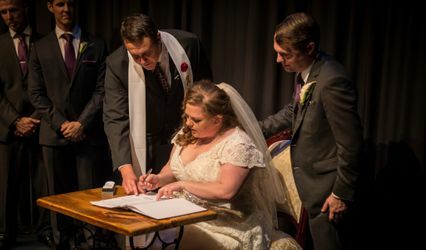 It is Suzanne's immense pleasure to work with you handcrafting a ceremony that suits you to a T. This is her calling and she puts her heart and soul into it. Your guests will talk about your unique ceremony for years to come. 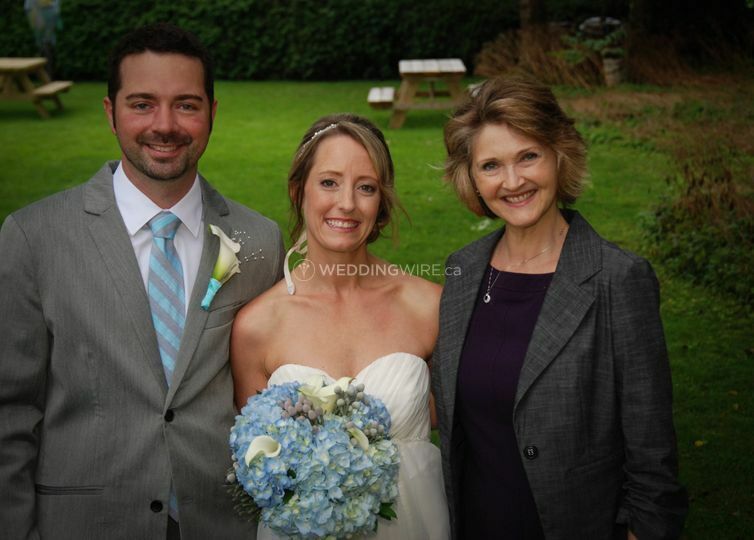 Going into this, my husband and I wanted something different, something that wouldn't bore people, we came to wedding wire and saw all the great feedback Suzanne had received and we went with her, and it was the best decision ever! 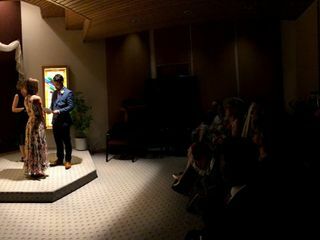 Our wedding ceremony was totally unique, totally tiered towards us and our lives. We asked for short and sweet and Suzanne delivered! She is so kind, so passionate about what she does, and she was so great to work with. When you meet her you can just tell she loves love, and it was so great to work with her. 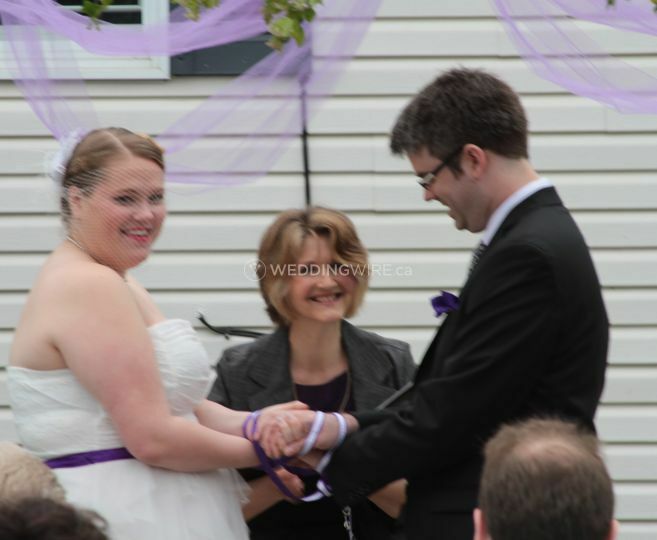 When I had to make last minute changes to my ceremony to appease others she was more than willing to work with me despite it being last minute. Our experience with her was great from start to finish. 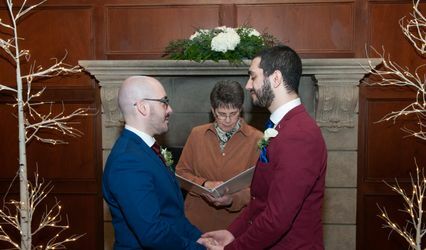 Our wedding guests commented about how our ceremony had them crying happy tears, and it gave people the chance to hear our story, about how our relationship began, and how it grew into what it was today. 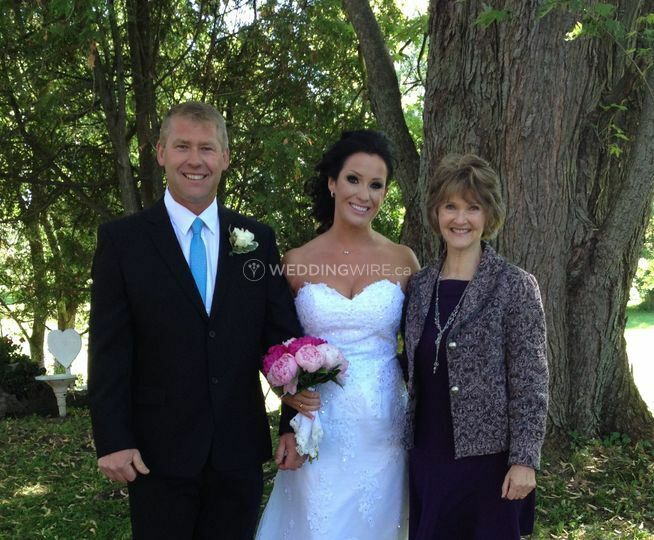 She did an amazing job, and we would recommend to her anyone! Thank you!!! Kayla and Geoff, thank you so much! It was my absolute pleasure to work with you, from start to finish. Thank you! Have a happily every after, you two! She's incredibly kind, understanding, professional, and promptly. It's not easy working with an ever changing wedding ceremony. In the end even the weather was perfect. My husband and I are very satisfied with everything, thanks again for helping us with our special day. Suzanne was amazing to work with- very professional, very responsive to all e-mails and questions but also has a very loving, caring way about her. You know she wants your ceremony to be perfect and she puts an incredible amount of work into it. We wanted our ceremony to reflect us and to be original and that is exactly what it was. We had amazing comments from our guests about how much they enjoyed it! 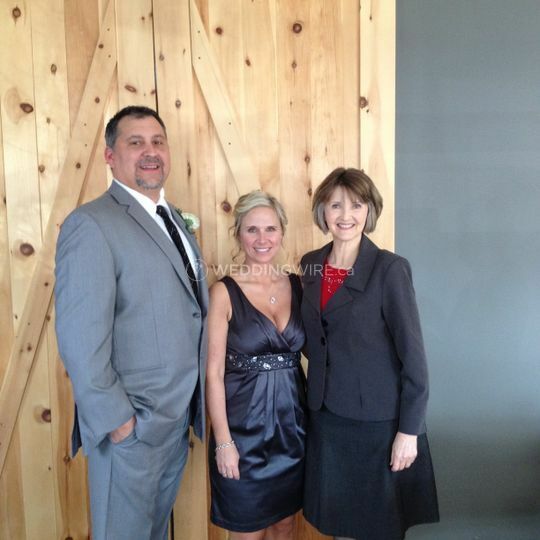 Thanks again, Suzanne, for all of your time and effort into making our day incredible! Suzanne was simply amazing. We had our elopement at the bottom of Inglis Falls which requires a bit of a hike down a mountain to get to and Suzanne was more than happy to accommodate us. She made the process easy and as stress free as what a wedding could be especially considering we were 2.5 hours away from her and our venue. She tailored the script to fit us perfectly and had wonderful ideas for making our wedding perfect. 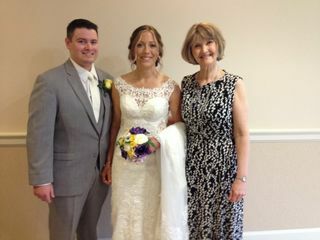 Suzanne was very respectful of our decision to have a non religious wedding and substituted in other content beautifully. 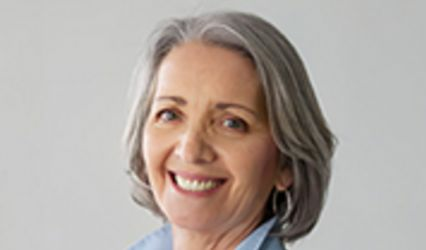 We highly recommend Suzanne Myers!! Thank you so much, Ginelle. 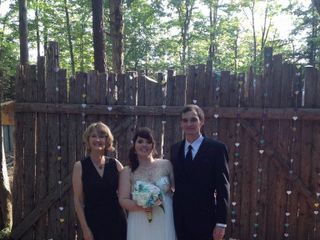 It was an absolute honour and pleasure to hike down the rocks and tie your knot! 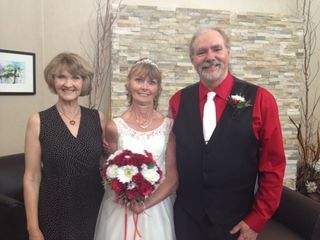 May you have many, many years of wedded bliss. 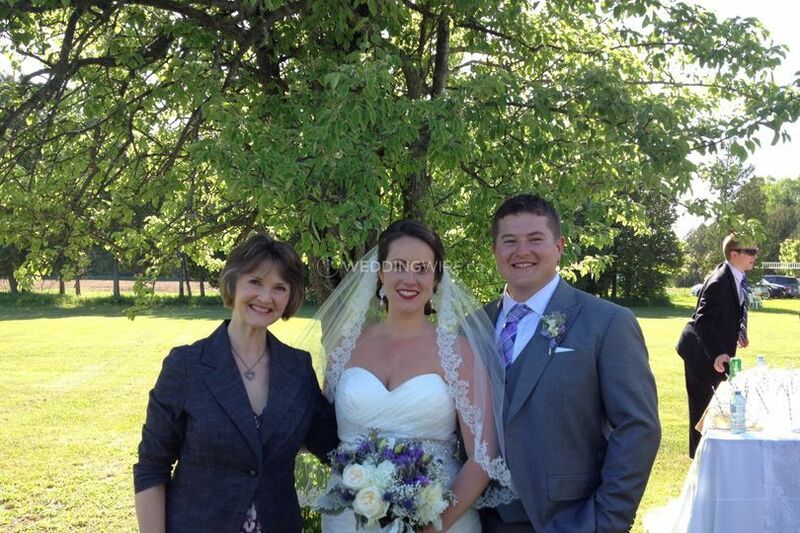 My husband and I had such a wonderful experience with Suzanne, as our Wedding Officiant this past summer. Right from our first emailing experiences with Suzanne, we felt comfortable and excited to be working with her. 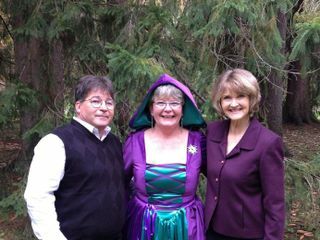 Shortly after contacting Suzanne, she took the time to meet with us together and get to know our story. Throughout meeting with Suzanne, and filling out the questionnaires, she had made it so easy for us to be able to reflect on our favourite memories and qualities that we love in each other. This made the preparation of our vows that much smoother for us. A very short time before our wedding, we had experienced some difficult obstacles regarding our planning. 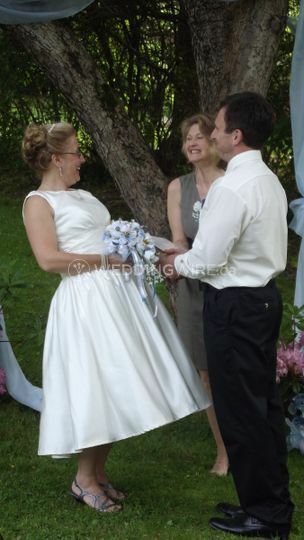 At this time, Suzanne posed as more than just an Officiant to us. She went above and beyond caring and helping us continue to make the wedding of our dreams complete in many ways. 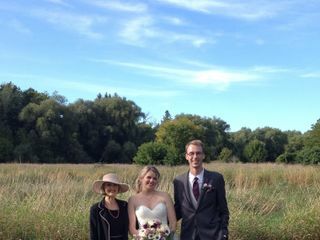 After our ceremony, many guests very kindly expressed how ours was one of the most unique, funny, interesting, and sweet ceremonies they have seen. This was all thanks to Suzanne. 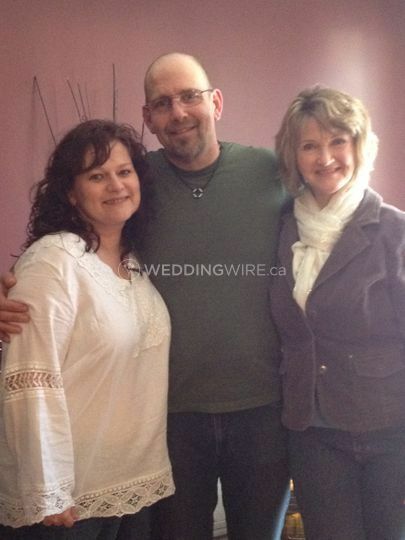 We now look forward to working with Suzanne again this April, only this time as a bridesmaid and groomsman.